Every institution dedicates itself to the military and veteran community when they participate in the Military Friendly® Companies Survey. We are here to help. Below are resources and answers to the questions you have, so we can work together towards making every institution in America is Better for Veterans. The expanded timeline that includes designation release dates and future survey openings. Get a deep dive into the methodology of Military Friendly® and why it sets the industry standard. Understand the Top 10, Gold, Silver, and Bronze awards, the Categorical breakdowns, and more. Order your plaque and display your dedication to the Military/Veteran Community. Does your Military Friendly® profile need updated information? Submit a ticket and a team member will reach back out to you shortly. Survey questions, help, assistance, logos, press releases, and more. Understanding the various awards and categories that classify companies. 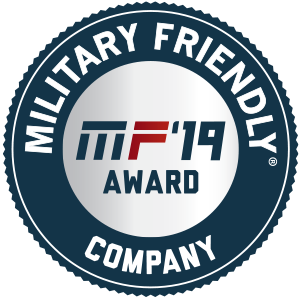 The 2019 Military Friendly® Designation is awarded to companies who meet the requirements in the Methodology section above. 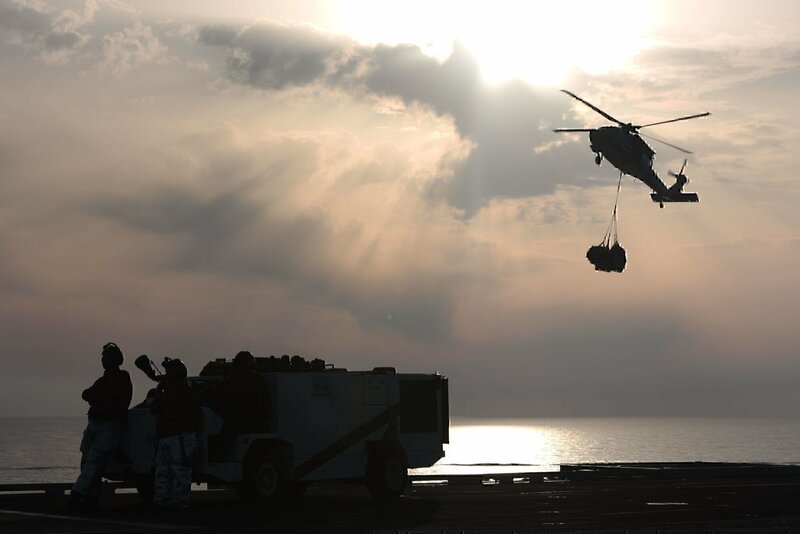 They are committed to being Better for Veterans and are an example to American companies. The Military Friendly® Employer with Bronze distinction is an employer who scored within 30% of the 10th best Employer in their category. These Employers have exceptional military/veteran programs and this award showcases their dedication. The 2019 Military Friendly® Silver Designation is awarded to companies who meet the requirements and score within 20% of the 10th ranking Employer in their category. Only a select group of companies achieve this honor. The Military Friendly® Employer with Gold distinction is an employer who scored within 10% of the 10th ranking Employer in their category. These employers are setting the example with their programs and initiatives. 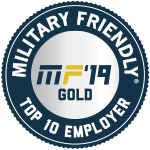 The Military Friendly® Top 10 Employers are the guidon bearers for military/veteran programs and initiatives. They set the standard for other designations and are programs that continue to improve every year.See the list here. New Hire Retention Rate for Veterans is greater than 50%. New Hire Retention for Veterans is higher than for Non-Military Employees. New Hire Retention Rate for Guard & Reserve Employees is greater than 50%. Military Employee Turnover is lower than for Non-Military Employees. Military Employee Turnover is less than 20%. Promotions and Advancements of Military Employees is higher than for Non-Military Employees. Percent of Military Applicants selected is higher than for Non-Military Applicants selected.